I have a picture of a room including the floor and I want it to look like there is, for example, a cube going through the floor. 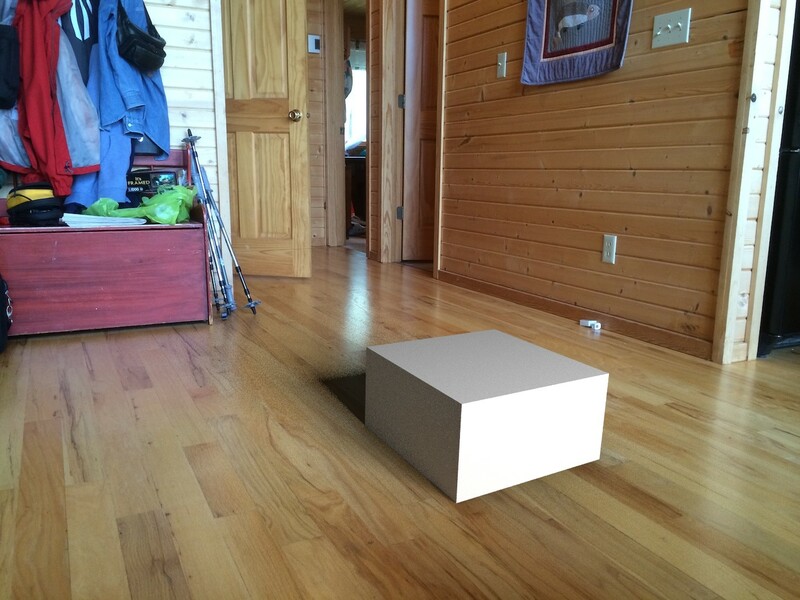 Is there a way to do this, maybe by making it go through a plane that is transparent to the photograph but not to the cube? If anyone knows how to do this, as I'm not very good at doing things from text, would you be able to explain with pictures or something? Is there is a tutorial for this sort of thing? Update for posterity: An archive of this answer can be found at https://bvisness.me/2017/04/25/blender-masking-layers.html. Start by turning on transparent film. 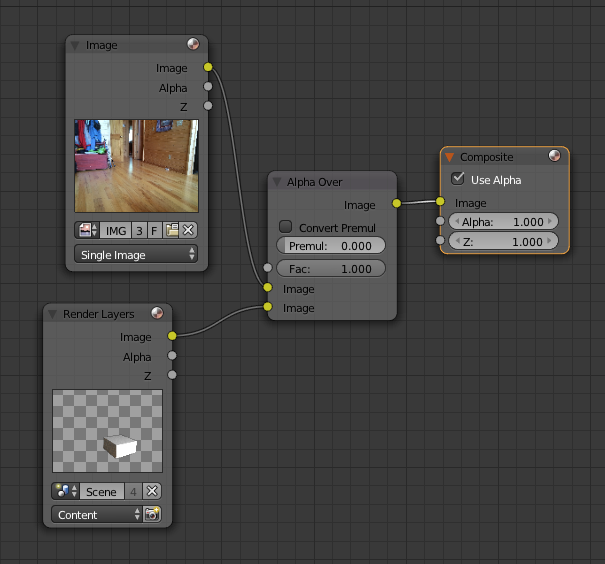 This makes your Cycles render layers use transparency instead of a background color. Go to the Render panel in the Properties window, scroll down to Film, and check Transparent. 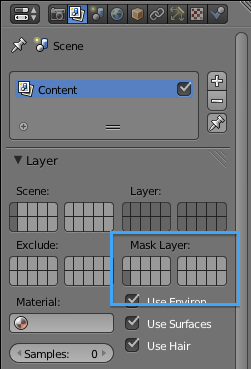 Make sure that both your cube and your plane are visible, then go over to the Render Layers tab and set the mask layer to the layer with your plane. This technically answers your question, but it looks really bad, so I'm gonna keep going. 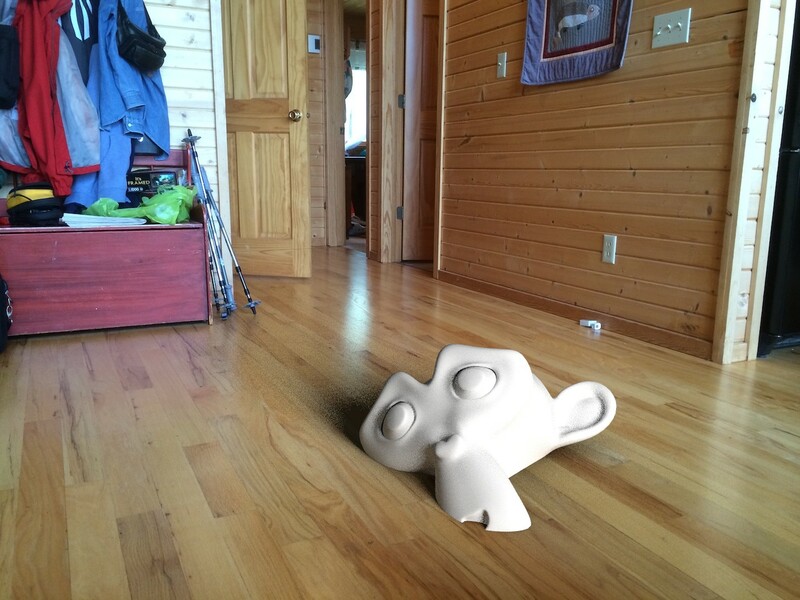 You can use your masking plane to capture shadows and AO as well. First add another render layer for just your masking plane. Go down into the "Passes" tab and make sure that Shadows and AO are checked. 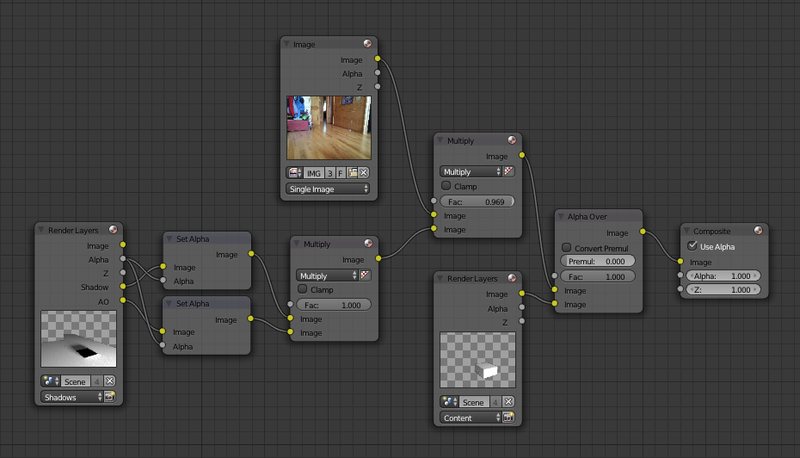 You can improve the lighting accuracy if you make the floor material match the picture. This will change the color of the light bounces, even though the plane itself is not actually visible. This technique works for other objects too. 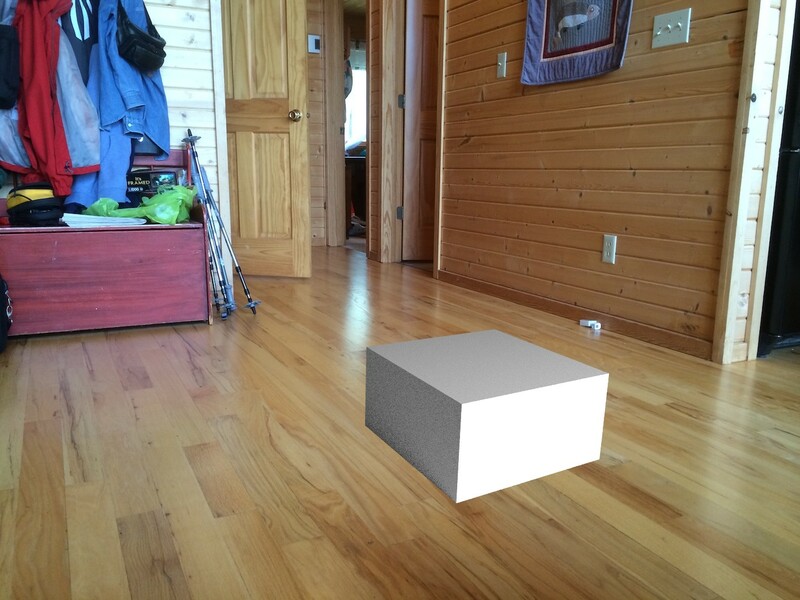 Just replace the cube with whatever object you actually want in your scene. Anyway, I hope that helps. Let me know if you want me to clarify anything. Not the answer you're looking for? Browse other questions tagged rendering tracking or ask your own question. How to create a transparent plane? What should I track for accurate rotation stabilization? Or, how can I stabilize motion timelapse?